Shiver-my-whiskers: it’s Geronimo’s furriest adventure yet. Hold on to your cheeseboard! What do mice fear more than cats? Cat pirates. Rancid rat hairs: the pussycat pirates are coming to town. They want to steal New Mouse City’s Statue of Liberty and take it back to Cat Island. (They’re so stupid they think it’s completely made of gold.) Colour pictures, loads of daft jokes and a squeak-tastic battle against evil. 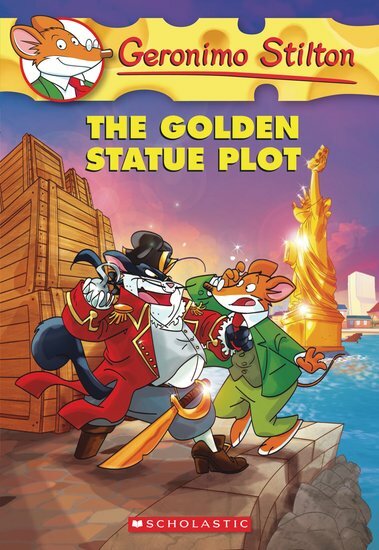 Sounds like a perfect Geronimo Stilton adventure to us.